Born in 1921 into an artistic family, Wilkinson studied at leading academies and became a highly thought of engraver. He became Professor of Engraving at the City and Guilds of London and a council member of the Royal Society of Etchers. For many years he worked with George Vernon Stokes, considered one of the best canine artists, helping him produce his prints. 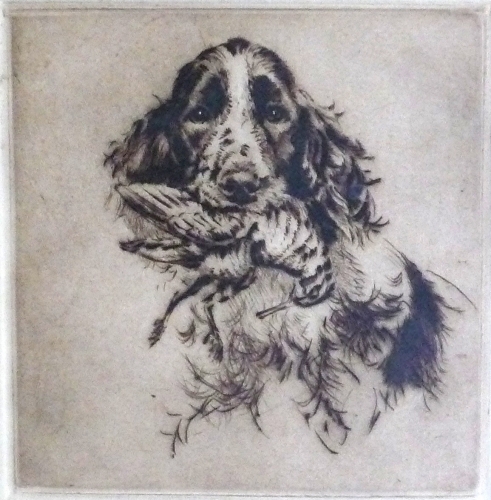 Folllowing Stokes death in 1954 Wilkinson began to produce his own etchings of dogs and sporting subjects. His prints were usually in small editions of which Wilkinson carried out the entire process even going as far as mixing his own inks.